John Calipari may be focused on his current 2018-19 basketball team and the upcoming 2019 recruiting class, but one junior combo guard in particular has caught the Kentucky head coach’s eye. RJ Hampton, considered the No. 1 point guard in the class of 2020, received an offer from Kentucky in the first week of October, one of just seven players in the class to hold one. Calipari has watched Hampton in person on several occasions, and the consensus top-ten prospect was in Lexington this past weekend visiting for Big Blue Madness. Following his visit, Adam Zagoria of ZagsBlog.com sat down with Hampton’s father, Rod, about Kentucky’s pitch and how his son felt about his time on campus. Like we’ve heard time and time again over the years, Calipari was blunt with the family about what it takes to be a Kentucky Wildcat. And it was a pitch that resonated well with the 6-foot-4 star. The prospect’s father went on to say Kentucky has it all and that they are considered one of the best in the business for a reason. Hampton also sat down with Krysten Peek of Rivals.com to discuss his relationship with John Calipari and his thoughts about Kentucky as a program while he was out in Colorado Springs at a Team USA minicamp last week. To no one’s surprise, Hampton said Calipari has told him he will be a major priority for Kentucky in 2020. 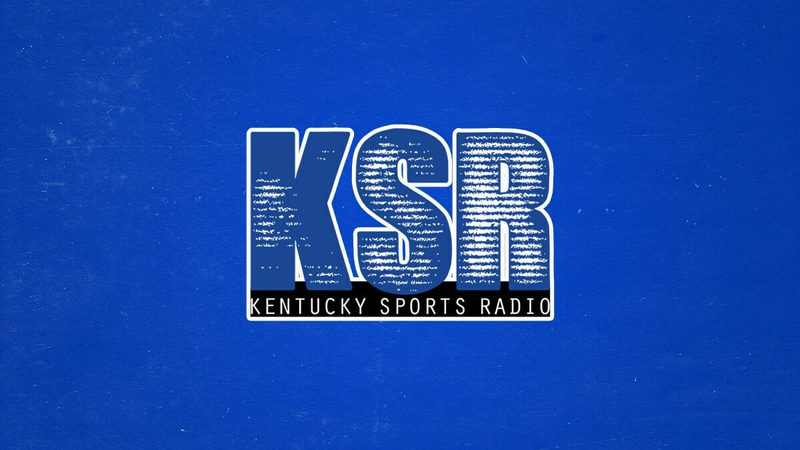 “Coach Cal told me I’m one of his guys in 2020 that he’s going to recruit and just told my family what Kentucky’s all about.” – five-star RJ Hampton on Kentucky offer. Following a serious back-and-forth process, Hampton recently announced he would be staying in the class of 2020 rather than making a move to 2019. With Kentucky in great shape at the guard spot with Tyrese Maxey, Kahlil Whitney, and Dontaie Allen already locked up, it’s a decision that definitely helps the Cats. He has said his recruiting process wide open, though most assume Kentucky, Duke, Kansas, Memphis, and Texas are the teams with the best shot at landing the elite scorer. We still have a while, but hopefully he’ll choose the correct shade of blue when it comes time for a decision. Come on down, young fella.